I used to have an elderly neighbour, when i was a student, in a shared house. I’m not sure quite how old she was, but in my memory she was about 170. One of my friends would often check in on her, on one occasion, finding her poorly, and looking after her after a fall. A few days later, her son came to visit: he worked in the city, drove a big car, and was an infrequent visitor to his elderly mother. Maybe his job precluded it. When he learned what my friend had done, he tried to tip him, and my friend refused. Quite vocally. It was the wrong currency, being spent within the wrong exchange system. My friend was operating on values: the way he acted as a neighbour was neither a duty, nor a job. It was part of his values and ethos. The way the son treated it was as a service. So he tipped, which may have been wrong on two fronts: firstly, it was not a service, so the tip was wrong, but even if it had been a service, he did not offer thanks. If he had led by saying ‘thank you’, perhaps the outcome would have been different, but he led with money. He deployed financial currency in a gratitude economy. And he diminished his standing in the reputation economy (my friend, concurrently, increasing his). Formal systems may operate on financial currency, but social ones do not: in my own research, when people help an Organisation build a culture that is ‘better’, only seven percent want more money for their efforts. Most want further opportunities to help. As we evolve our Organisations, beyond domains, beyond utility, we will need to learn how to hold, and deploy the right currencies. And make no mistake, this is not a way of doing things cheaply: the currencies of gratitude, respect, trust, and fairness may be beyond value. 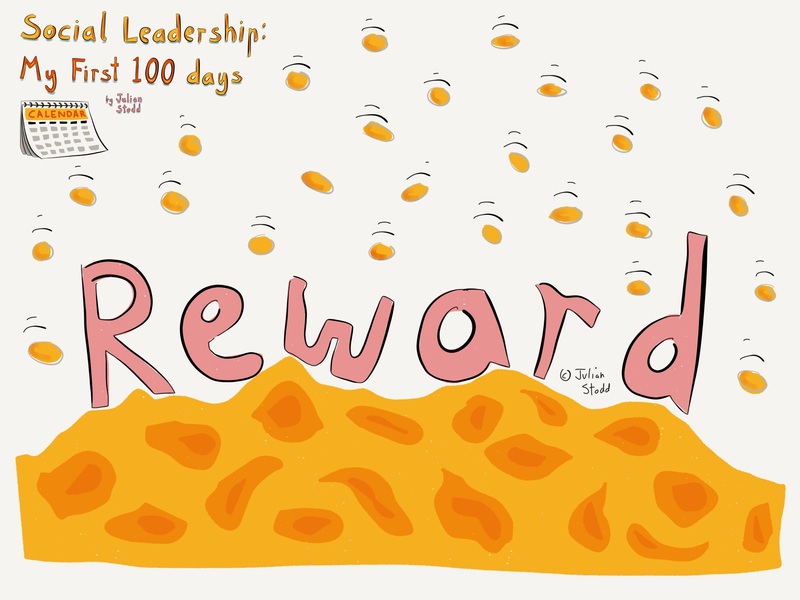 This entry was posted in Humility and tagged Currency, Gratitude, Leadership, Reward. Bookmark the permalink.